I’ve been in a really vulnerable place with God lately. He is so present around me, but when those moments come where it’s just me and him – I shy away, I hide. He’s still speaking to me and leading me. I’m still talking to him and listening to him. But when he pushes a little deeper and when it starts to get really intimate – my fear or shame or whatever pulls me away. Everything in me wants to receive this insane love that caused God to endure my pain and blood. All I want is to just melt into his embrace. But still, I try to keep him from seeing the real me. Who am I fooling though? He CAN see. I’m not very good at hiding, even though I convince myself that I can cover my nakedness from him. And maybe it isn’t so much just letting him see me, but it’s the risk of hoping that he will still want to love me. Sometimes I wonder why he stays…why won’t he leave? My throat closes and tears rise to the surface when I think about this kind of love. I find myself exhaling a sigh of relief when I realize that he is so confident, that he didn’t make a mistake, that he isn’t worried, and that I can trust him. Last week, I was at a concert by myself. The artist sang an intimate love song and I sat still as I listened to the beautiful words. My heart could feel the longing in the lyrics…a longing not for romance, but for this radical lover of my soul. Even though this deep intimacy and nakedness before God terrifies me, I’m ready to lose everything for him to say that he is mine. Remember how I don’t really care about the devil? I kinda, sorta went on a rant about it in one of my blogs like two years ago. Well, I am starting to wonder if I should have a little more concern on the issue of that nasty creature. I’m still not interested in giving him any glory and I definitely don’t want to do for the devil what he can’t do for himself. But today, I realized that he has been pursuing me quite consistently and it might be helpful for me to know about it. It might make me feel a little less like a crazy person, if I could see the strategy against me. Yesterday, he slipped the same lie into my roommate’s head that he had told me last week. Except, it wasn’t until she said it out loud that I realized it was ridiculously untrue. Today I realized that there were lies he had told me about other people and how quickly and easily I believed him. Lies so subtle that I had to really be looking for them to even discover them. I needed an awareness of the truth but I also needed an awareness of those quiet, soft doubts that were contaminating the whole batch of hope. My mentor called it having a lie-catcher. My mind instantly thought of a dreamcatcher. 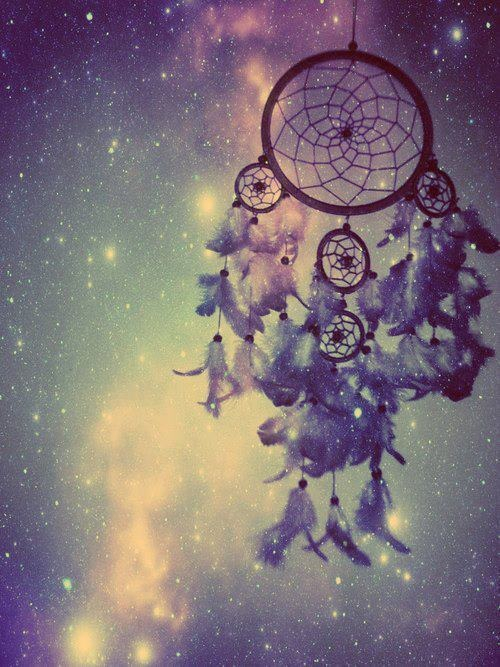 Dreamcatchers were used by Native Americans to filter out all bad dreams and only allow good thoughts to enter their mind. They hung above the bed and were used as a charm to protect sleeping children, from nightmares. It was believed that only good dreams would be allowed to filter through and bad dreams would stay in the net, disappearing with the light of day. I’m not about to hang a dreamcatcher over my bed or get it tattooed on my body or anything. But I see value in the discipline of filtering all the information that comes my way…catching the lie, and allowing only truth to penetrate into my soul. What if we could see what weapons our enemy is throwing at us? What if we could catch it before it wounded us? Before we let it wound those around us? I want to be a woman who is able to distinguish the most subtle lie from the truth, and not be caught off guard by the pursuit of my real enemy. I want to have vision for the unseen and sight for every lie that would try to steal from me. I want to walk in a wisdom that catches the lie and exposes its fallacy with the light of what is true. amen? yes and amen.